Having good knives in your kitchen makes a world of difference. It can take a taste like cutting grapefruit segments from a 20-minute-long nightmare to a breeze. I have found that since having good, sharp knives in my kitchen, I enjoy cooking so much more because I am not constantly fighting with the food I am trying to prepare. Well yesterday, Nadine, my best friend from college, asked me about purchasing good knives. She was asking specifically for a somewhat cheap/affordable but high quality knife block. 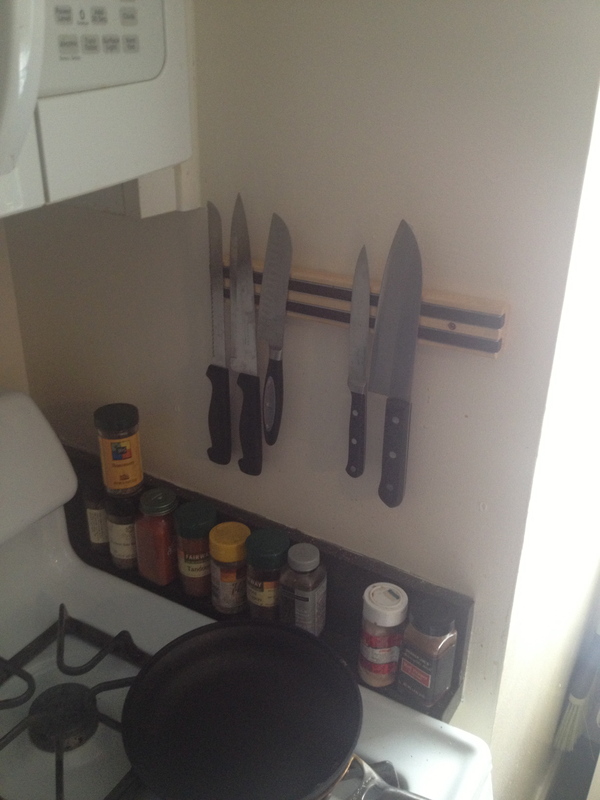 I think everyone knows what I’m talking about when I say knife block. You know, one of those wooden blocks with a set of 12 different knives you bought at Target for $19.99 before college? Well a good set of 12 knifes (something like Wusthof, which is highly rated by consumer reports as one of the best knifes out there) will set you back about $599. There are many options in between a Target and Wusthof set but I told her to avoid a set all together. Purchasing knives is an investment so I think it’s smart to build your own set over time. I started doing this about 2 years ago (with the help of my mom) and it was a great decision. Another option is a knife “block” from Kapoosh. 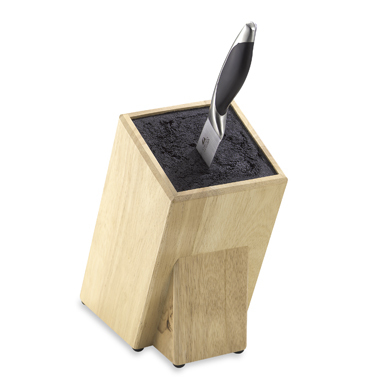 These are great because you get the same feel as a traditional knife block without being confined to buying everything as a set. They are safe, easy on your knives and look great on your counter tops. From there you need to get yourself started with the basics. I would recommend buying a utility knife first. Utility knives run in a number of sizes so you want to choose one that will fit your needs. I got mine from Stonewall Kitchen (my mom was working there at the time and got a discount!) and it usually runs around $30. Next, I would say invest in a chef’s knife. Again, choose one that will fit your needs as far as size goes. If you tend to butcher whole chickens, get a higher quality, heavier chef’s knife. If not, go with one your local retailed suggests. The chef’s knife is the biggest commitment and investment in your knife block. A Wusthof will cost about $125 but, again, this is one of the best a home cook can purchase. I got a Stonewall Kitchen knife and it was $49.95. Not nearly as expensive but still high quality and worth every penny. The last knife I would purchase would be a paring knife. A paring knife is used for small tasks, for example, halving cherry tomatoes, segmenting a grapefruit or cutting up strawberries for your morning cereal or yogurt. A Stonewall Kitchen paring knife will cost you about $25. These are the only 3 knives I have in my kitchen and I rarely feel as if I need any more. I know that one day, down the road, I will want to complete my set. It’s nice to have my set up the way it is because I have complete control over what knifes I’m purchasing and, therefore, every knifes fits me perfectly. I would say my next purchase will be a bread knife but my roommate has one so I’ve never needed one of my own! You can take your time building your set but this initial investment of 3 knifes will cost around $100-$150 depending on what brand you choose and what storage system works best for you. Still more expensive than a $19.99 set from Target but definitely cheaper and more personalized that those high-end knife block sets!